We went to the Carlisle Pennsylvania car show and found some interesting Car Memorabilia. One thing we did buy was a nice lot of Old Vintage 1960s Oldsmobile Car Brochures and other Oldsmobile Vintage Literature. We bought a nice big lot of Oldsmobile Car brochures and other Salesmen items and literature. Some of the items we found at the car show, we'd never seen before and I am having a difficult time finding the stuff online as well. I've done some searches and have found only a few of the booklets and pamphlets that we bought. A lot of the brochures and dealer cards and stuff was from the mid 1960s. We found some dealer cards that are labeled, Confidential Internal Use Only, so it appears it was for the dealers and salesmen only and not the general public. So seeing as how the literature wasn't handed out to the customers I can see why there isn't a lot of it around. Some of the items are, Technical Specifications comparisons in the industry, comparing Oldsmobile Cars to other Make and Models made in the United States. They look like this, there are a few different ones that we bought. Some of the literature were Dealer or Salesmen two sided cards telling the salesmen how to Present and Sell the Oldsmobile cars to their prospective customers, a rare inside look to car selling, a great hard to find piece of Vintage Car Sales memorabilia. 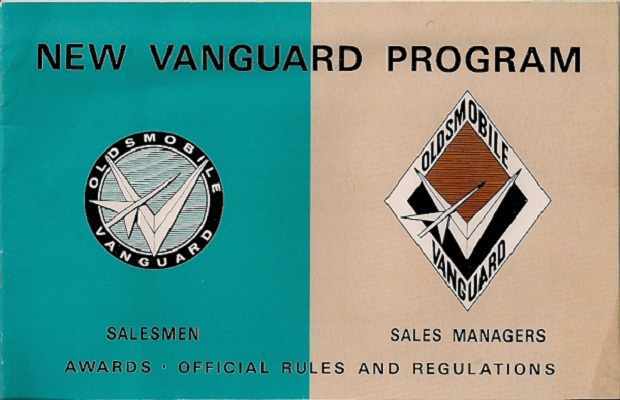 We also found a Great old Oldsmobile Vanguard Program Salesmen Awards Booklet, with the rules and regulations for winning the Salesmen Award, this booklet is also from the mid 1960s. 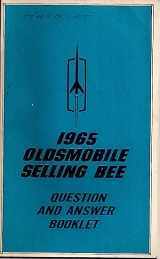 We found a few different 1960s Oldsmobile Selling Bee Question and Answer Booklet, and I'm not finding many of them online either. And there was more interesting things we found including color charts, a stack of 66 Automotive Examiner Bulletins labeled Confidential For Internal Use Only Oldsmobile Division and hold punched for binders. 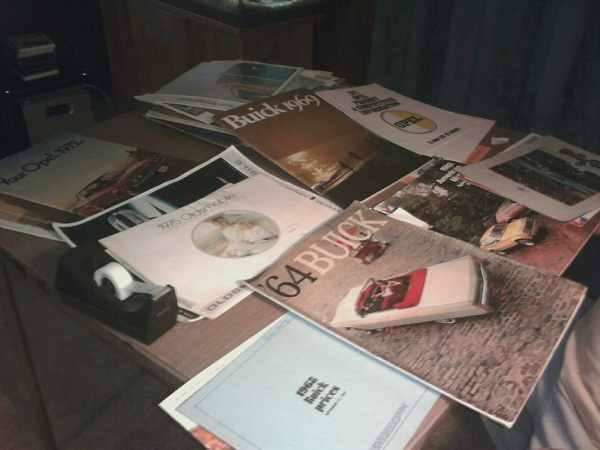 And lastly there was a nice haul of Vintage Oldsmobile Brochures as well that need to be put in order and checked for any damage as well. Here's a picture of some of the haul of brochures we got. he fun part was going to the Car Show and walking around aimlessly looking at Car stuff, parts, memorabilia and more. It was a nice sunny weekend and we did find car memorabilia and brochures which is what we like to get, we don't do car parts and hood ornaments and the like. Now the hard part is sorting, scanning and putting things in order and researching everything.